If you want to love, take the time to listen to your heart. In most ancient and wise cultures it is a regular practice for people to talk to their heart. There are rituals, stories, and meditative skills in every spiritual tradition that awaken the voice of the heart. 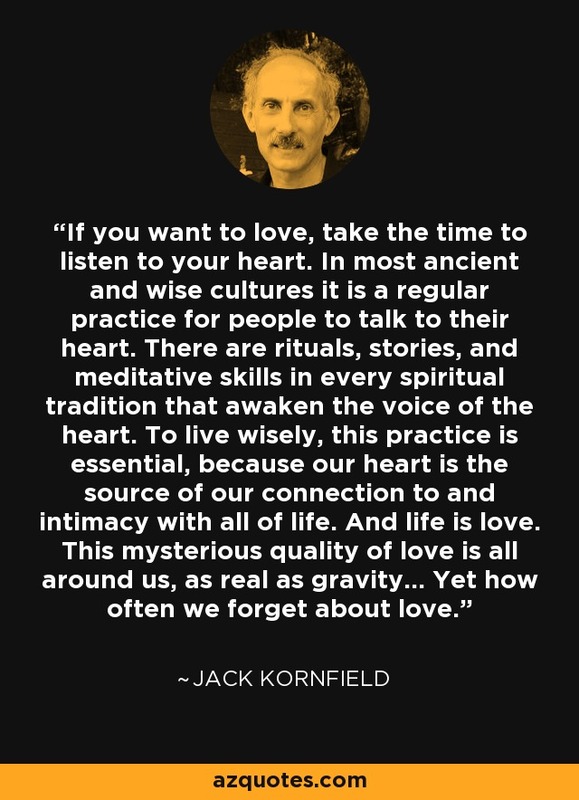 To live wisely, this practice is essential, because our heart is the source of our connection to and intimacy with all of life. And life is love. This mysterious quality of love is all around us, as real as gravity... Yet how often we forget about love.